R. Lee asks: In Seven an obese man is made to stuff himself until his stomach bursts. Is this really possible? Wouldn’t you just naturally throw up? Although extremely rare, some people actually have ruptured their stomachs after eating too much, and, perhaps not surprisingly, many did not survive. When a stomach ruptures, the billions of bacteria that normally live inside the gut flow out into the abdominal cavity where they thrive. The infection that ensues causes acute abdominal pain, a tensing of the belly muscles, fever, nausea, bloating and vomiting. Without treatment with antibiotics, cleaning of the cavity and repair of the stomach, the person dies. In one early case, in 1941, a 51-year-old woman blew out her belly with a “soda bicarbonate [think Alka Seltzer] after cocktails and a heavy dinner.” That meal included meatballs, tomatoes, cheese, bread, potatoes, macaroni, pie and whiskey. At least one commentator noted that the “gas from the fizz . . . apparently stretched the stomach to its breaking point.” A similar thing happened to a 71-year-old woman in 1955. In 1963, a 40-year-old New York woman, who had lost 16 pounds in the two months prior to bursting by strictly following a 1,000 calorie per day diet, suddenly became ill after eating a corned beef sandwich. The small meal caused her to experience severe nausea, but she was unable to vomit, and she began feeling a sense of impending doom. Overnight she got worse, and by the next morning, she was not in her right mind and in severe belly pain. She was admitted to Mount Sinai Hospital, but initial x-rays did not show a rupture, so she was treated for over a week with intravenous fluids and suctioning of her stomach. After 11 days, her condition had worsened, and they finally opened her up and discovered a long rip, that appeared to have been there for quite a while. The operation was a success and within a month, she was discharged. Seeming to afflict women more than men, in 1985 The Lancet reported the death of a 23-year-old fashion model from a ruptured stomach. During her last meal (which they were able to catalogue during the autopsy), the young woman ate a half-pound steak, one pound of liver, two pounds of kidney, two eggs, one cauliflower, 10 peaches, four pears, four bananas, two apples, two glasses of milk, two slices of bread and two pounds each of grapes, plums and carrots. It should also come as no surprise that bursting stomachs appears to be more common among bulimia sufferers. The Weekly World News reported in 1994 that an autopsy revealed that a 19-year-old model Anne-Marie Boules, in a four- to five- hour period, gorged on 20 pounds of food that consisted of an entire fried chicken, a dozen chicken wings, appetizers, fruit cocktails, two pints of beer, two large roast beefs, three baked potatoes, a head of cauliflower with cheese sauce, a loaf of garlic bread, 8 cookies and a gallon of ice cream before her stomach ruptured. Prior to her binge, the 5’9″ 110lb. model had kept her figure trim by eating only fruits and vegetables, but during her last meal, she is said to have inhaled the food so quickly, she apparently swallowed much of it without even chewing. Her rupture was sufficiently severe that she died from internal hemorrhaging within about 20 minutes. 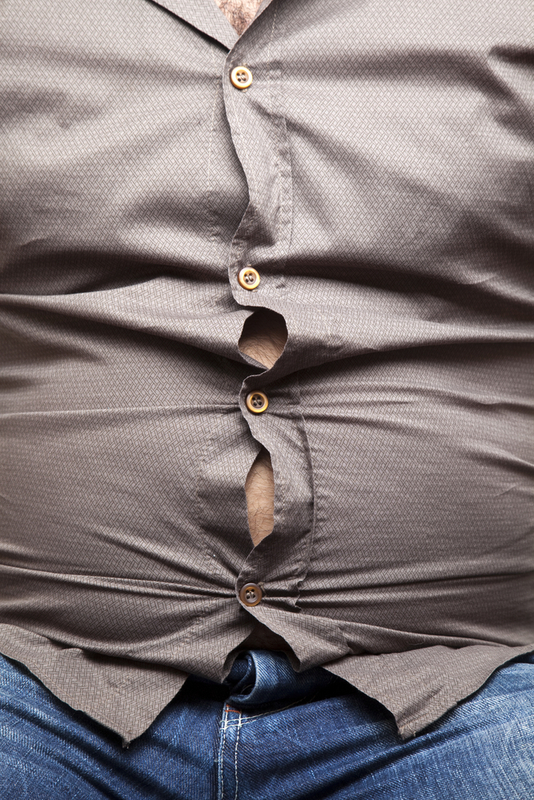 One of the reason bulimics are more prone to rupture is that shriveled stomachs are more susceptible to tearing. In fact, at least four former POWs after World War II ruptured their bellies after eating relatively modest meals. One of these ingested, over an entire day, only a quart of coffee, a few potatoes, a half pound of bread and two quarts of soup. On that note, not all ruptures are caused by overeating – at least not directly. In 2011, a 25-year-old woman from Coventry who had a gastric band (the band is placed around the stomach and tightened to aid with weight loss) nearly died when the band slipped, causing a wound that turned septic. For the first couple of months, she suffered from heartburn, vomiting and difficulty swallowing, but eventually the pain became unbearable. At the hospital, her surgeons described her burst belly as “like a jigsaw,” but she received a transplant and survived. In a slight twist on the stomach bursting phenomenon, in a 1986 American Journal of Forensic Medicine and Pathology article, it was reported that a 31-year-old Florida woman arrived at the hospital with stomach pain. They pumped her stomach and relieved it of two quarts of milk, three boxes of crackers and five pounds of hot dogs. After she left, she apparently started all over with more hotdogs, cereal and broccoli, but this last time, was unable to make it to the hospital in time. She was found dead in her kitchen atop a pile of food and the empty grocery bag; however, her stomach had not actually burst – it had ballooned so large that it squished her lungs and she died of asphyxia. Can eating too much make your stomach burst? Citing the Weekly World News as a source seriously damages your credibility. The WWN is the fictional tabloid that reports on the exploits of the Bat-Boy, that Hitler was actually a woman, that Satan’s face could be seen in the clouds of hurricane Sandy, etc. It is neither a scientific nor a journalistic publication. Please check their website for a sample of the nonsense they publish. You would do well to quickly make a correction. @Tim: Thanks for catching that. Fixed!